Looking For A Shipping Scale With Ethernet? Are you interested in a shipping scale with Ethernet? If so, please take a look at the information below. The Pennsylvania 7300 is a Made in the USA shipping scale that is designed for years of heavy duty use and loaded with features. 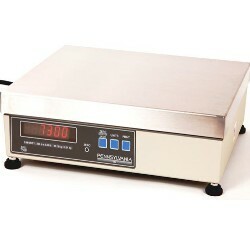 These scales are extra rugged and dependable. Default settings for UPS Online, Clipper Ship, Fairbanks or Mettler Toledo emulation + option outputs for Ethernet, analog (0-10 VDC or 4-20 mA), standard RS-232, remote displays. The scale itself is better than the competition because it isn’t made out of cheap plastic. 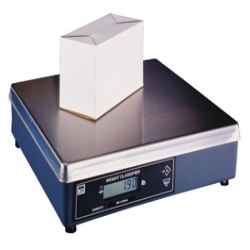 The Pennsylvania 7300 features Heavy duty CAST base construction and standard resolution of 10,000 counts which make this shipping scale the standard of the industry. Below are just a few of the standard features. The ethernet module has an RJ45 mating port to accept the customer’s cable. The module is a name brand product that computer savvy people are comfortable with. It comes with an assigned IP address (modifiable) and software license. The Ethernet option is reasonably priced and lead time is usually about one business day. If you ship packages to customers or suppliers then you really should take a look at the iDimension system built by Rice Lake. 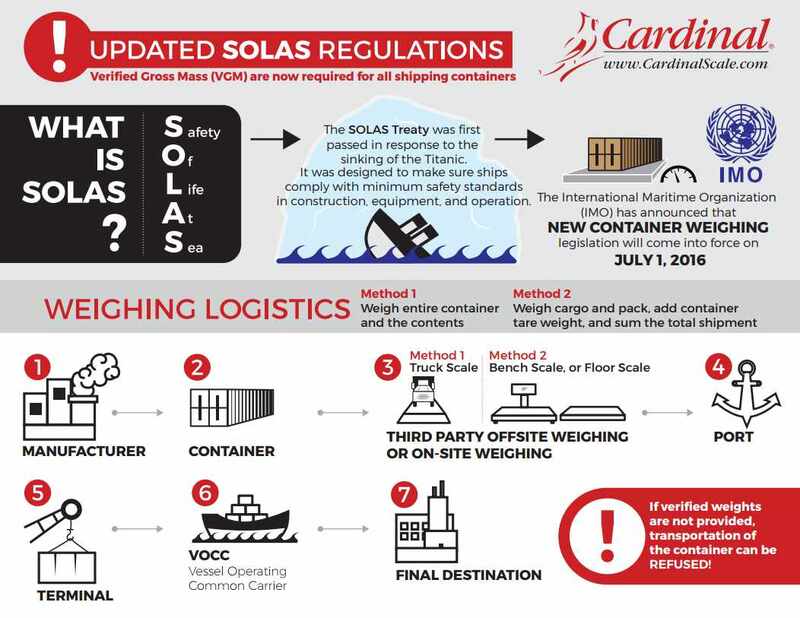 Not long ago we went into detail about how dimensional weighing is becoming a very important area for shippers to pay close attention. Today we wanted to present a few of the frequently asked questions along with answers. Plus we’ll also provide a video below that shows the unit in action easily calculating dimensional weight for various items and packages. Q: Does iDimension Interface with shipping software programs? A: The iDimension Series at this time is a new product. The free API and software development tool kit can help users interface with their current system. In the future, look for iDimension Software Compatibility Chart at www.ricelake.com as new companies are added to the list. Q: How do I connect my iDimension to a PC? A: The iDimension Series interfaces to an Ethernet port. Connect directly to a PC’s Ethernet port or router switch so that iDimension can be configured as a DCHP or static IP device. Q: Does iDimension have a operator display or keypad? A: The customer’s computer monitor is used as the display. 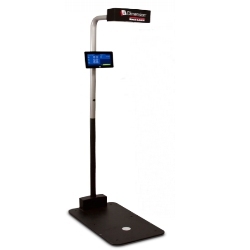 iDimension’s embedded firmware provides a demo display with image, operator display and customer display. Use a Wi-Fi router to connect to a tablet using iDimension’s web service technology. Q: Can iDimension connect to a scale? A: iDimension can be configured to add the weight into the iDimension displays or API. 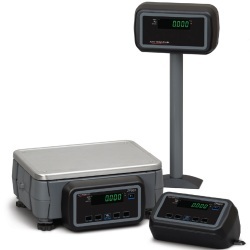 There is a selection of common shipping scales to choose from or use a Rice Lake 420 indicator with custom iDimension software that uses an RS-232 to USB converter, providing an FTDI driver. Actually in a lot of cases, the end user’s scales already interface to their software program; so connection to the iDimension is not required. A: Application Program Interface, or API, is a set of routines, protocols and tools for building software applications. An API is generally a specification of remote calls exposed to software for consumption that will allow the software to perform different operations, or retrieve specific data. The Rice Lake API allows users to interface with the system to retrieve dimensions, weight, a low-resolution image and more valuable data using a simple HTTP request and XML parsing method. iDimension is easily installed over existing conveyors and workstations. Q: Does iDimension provide a dimensional weight? A: The iDimension Series is NTEP Certified to provide dimensional weight since most shipping software programs provide dimensional weight standard. However, we provide length, width, height, weight, a low resolution image, time and date, sequential capture identification, status, extended status, and identification barcode information. Q: What is an irregular shape? A: An irregular shape is anything that is not packed in a carton. iDimension is one of the few dimensioning systems that accurately measure an irregular shape with NTEP Certification at 10 mm accuracy. Q: How do I calibrate the iDimension Series? A: A calibration tool is provided with each product. Simply place the item under iDimension and calibrate using the embedded firmware. Q: What are the advantages of the iDimension Series? A: iDimension is an innovative, easy-to-maintain dimensioning solution with no moving parts to service. iDimension can quickly capture dimensions in 0.2 seconds from parcels placed anywhere in its zone of interest work area. 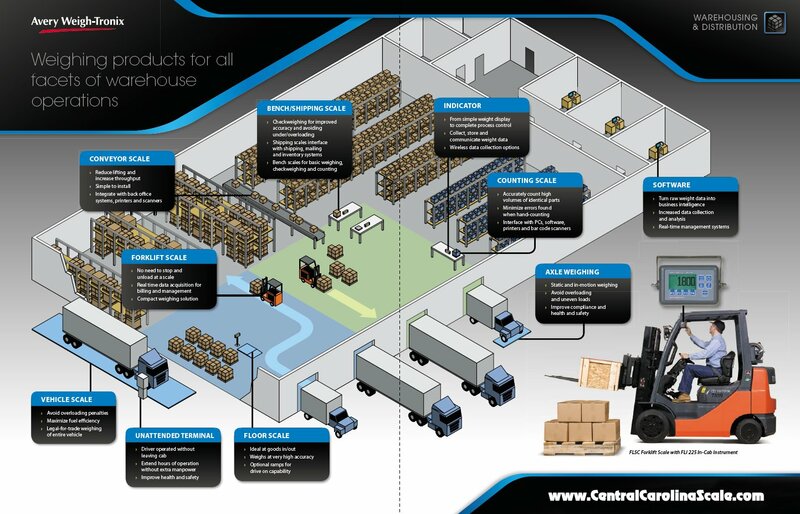 A high-resolution camera captures an image of the parcel to identify bar codes and OCR data. A: One year from date of installation. Q: What is the repair policy? A: Rice Lake Weighing Systems has a repair depot swap program and easy field replacement. Q: How do I troubleshoot in the field? A: Using a remote support program like TeamViewer®, Rice Lake’s iDimension service team can quickly provide remote support from our facility without need for a field visit. Q: Ok, all of this sounds great, how do I get an iDimension for my company? A: Contact the sales team either by phone at 919-776-7737 or via the information request form. Some companies ship lots of parcels and boxes every single day. Others ship quite a few boxes occasionally and light amounts otherwise. Meanwhile, some companies have hundreds of boxes that ship out to their customers via FedEx or UPS everyday. 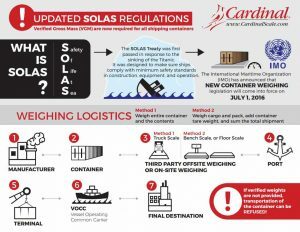 At Central Carolina Scale, we ship out quite a few boxes every week and recently noticed a change that you are probably going to start noticing as well if you own a business that ships out packages via UPS Ground. We’ll focus mostly on UPS since that is our primary carrier but you can probably expect FedEx to do something similar if they’re not already. You see in the past UPS mostly focused dimensional weight rates, aka… dim weight on their expedited services like UPS Red (Next Day Air) or UPS Blue (2nd Day Air). Well, starting in 2015 dim weights apply to the standard UPS Ground charges as well. You can see more at UPS rates website. In addition to the announcement that UPS® Ground, Air and International rates will increase an average net 4.9% there is also a mention of dimensional weight pricing. Dimensional weight pricing will apply to all UPS® Ground services and UPS® Standard to Canada packages. Dimensional weight pricing encourages reductions in excess packaging materials and overall package sizes, leading to reduced fuel use, vehicle emissions and transportation costs. We should probably give you a quick overview of what dimensional weight is all about. Here is the way UPS describes it. Dimensional weight reflects package density, which is the amount of the space a package occupies in relation to its actual weight. Dimensional weight may apply to all UPS domestic and international package services. Determine the package dimensions in inches. For each dimension, measure at the longest point, rounding each measurement to the nearest whole number (for example, 1.00 to 1.49 will be considered 1, and 1.50 to 1.99 will be considered 2). Measure the length, width and height of the package at its extreme points. If the package has a bulge or is irregularly shaped, include the bulge or irregular aspects of the package. Multiply the package length by the width by the height. The result is the cubic size in inches. UPS Air Services shipments in U.S.: Divide the cubic size in inches by 166 to determine dimensional weight in pounds. Increase any fraction to the next whole pound. UPS Ground shipments in U.S.: If the cubic size of the package in inches is 5,184 or larger, divide the cubic size by 166 to determine dimensional weight in pounds. If the cubic size in inches is less than 5,184, use the actual weight of the package. Increase any fraction to the next whole pound.